Two Pots. – Photography – David A Lockwood. 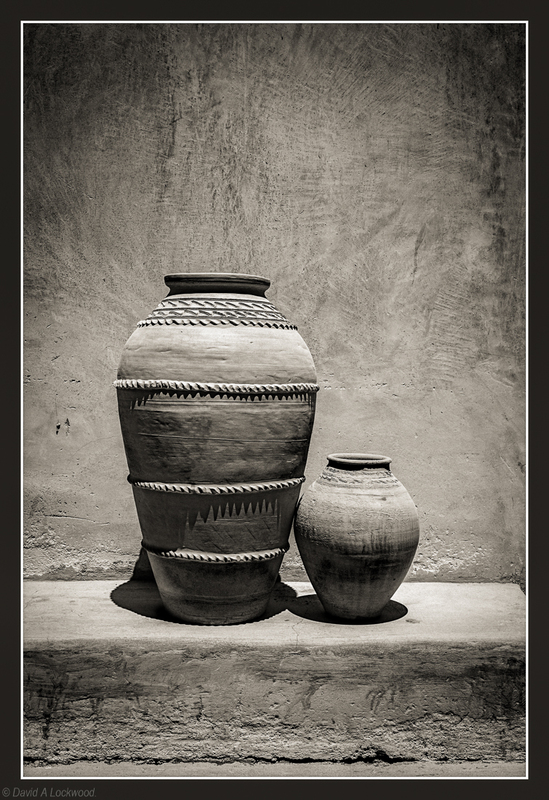 Two pots – Jabrin Fort. Seeing both the B&W and color version I think I personally prefer this one (B&W). It feels much more like an “art” piece. A fine artifact. I am inclined to agree and it is how I first envisioned the final image. Colour is never really my thing, but I try; never feels complete some how. Simple, pure and satisfying. Love it! Thank you very much Bente.